It would not be wrong if I say that technology has taken over the life of all the people of the world. The revolution in technological area has made life simpler. No matters what task you want to do there is already a technology available that would help you to make that task simpler. Each day there is news of new inventions that would change the world. We have achieved an important landmark in technological inventions. It would be worth mentioning here that the inventions are derived from the already existing models to make them better. People have a conception that inventions result only from some of the genius minds, it is correct to call the inventor a genius because his invention changes the scenario completely. 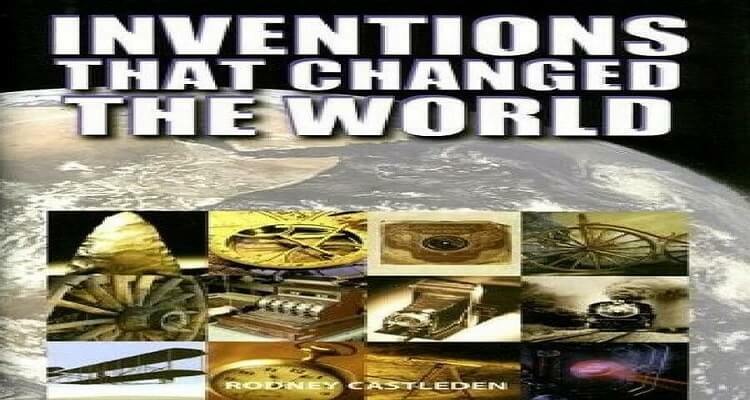 Here is a list of 10 such inventions that completely changed the world and made life much simpler. There are no prior evidences about the invention of the plough. It is believed that it is developed independently in number of regions. There are evidences that it is being used from the pre historic times. The plough is one of the important inventions that changed the scenario of farming. Prior to the invention of plough, farming was a labour intensive job and the farmers had to use their hands and it obviously require a lot of time. But the invention of plough made it easier for farmers by reducing the hand work and the farmers are able to grow more crops than before. Wheel is also one of the ancient inventions that could be tracked back to 3100 B.C. the invention of wheel made the transportation system much easier. Earlier it was attached to horse carts only but after several years many others products that are developed depends on the wheel. For instance, modern vehicles, pulleys, combustion engines etc are all dependent on wheel. The credit to develop printing press goes to Johann Gutenberg. He developed printing machines in the year 1430. This invention revolutionized the whole world. Printing press made the mass production of books and other items possible and as a result of which more and more people got the access. Before the invention of printing press it was the rich people who could afford a book but the mass production brought the prices down. Printing is one of the major invention on which our economy depends. The idea was improved and printing was upgraded to print the currency notes. Therefore it is one of the inventions that changed the world. Refrigeration is also one of the greatest inventions that changed the world. The development in the refrigeration techniques made it possible to store food materials for a longer period time. The technology took 200 years to reach the present scenario and it changed the eating habits of the people around the world. Now people have access to fresh dairy products and other items on one go. Imagine a situation where you do not have any means to communicate to the people who are sitting far away from you. This could be a difficult task for our present generation but our ancestor lived in that era where there were no means of communication. The credit of the development of communication system goes to a lot of people who developed the system. With the different means of communication it has become very easy to reach a person sitting far away from us. Prior to the development of steam engine the industries does not had any power source. All the industries depend on the draft animals for the work which has its own limitations. The invention of the steam engine is one of the best things that the industrial revolution developed. The development of engines changed the scenario completely. Now the industries have developed different systems that generate power form steam and it is all possible through the development of steam engines. Every one of us can get into our car and drive to any place we want. The development in the automobile helped in the mobilisation of people. The first automobile was developed in the year 1885 by Karl Benz and from there many developments were made to give shape to the present day automobile vehicles. Today we have different types of power devices available but the credit of the modern day devices goes to light bulb. Thomas Edison is the man who developed the first light bulb that changed the scenario completely. The invention of light bulb made it possible to work even after sun light and the development in the electricity network also contributed for bringing the change in the world. Today computers are involved in every field of work. The machine helps people by making their task easy. Earlier before the development of computers the people had to dedicate a lot of time in managing big data but this electronic machine was developed to reduce the work load and it use constantly increased in every field. The internet is the best inventions that have changed the world completely. It gives you access to all the information at any time. With the power of internet you could do almost everything. Internet also aid the development of different other projects. It affects business, commerce, entertainment, and politics. No one can simply ignore the humongous uses of internet.